You may find numbers of 4K monitors in market but they have very general specifications that are not suitable to gamers. These simple 4K monitors can serve office needs but cannot be the companion for gaming world. The fact is that it is essential to have a high speed, crystal clear and delay free monitor for gaming so that gamers can have trouble free processing for their action games. If you are searching for best gaming monitors in the market then probably you may find it complicated to choose the best one with all suitable features. 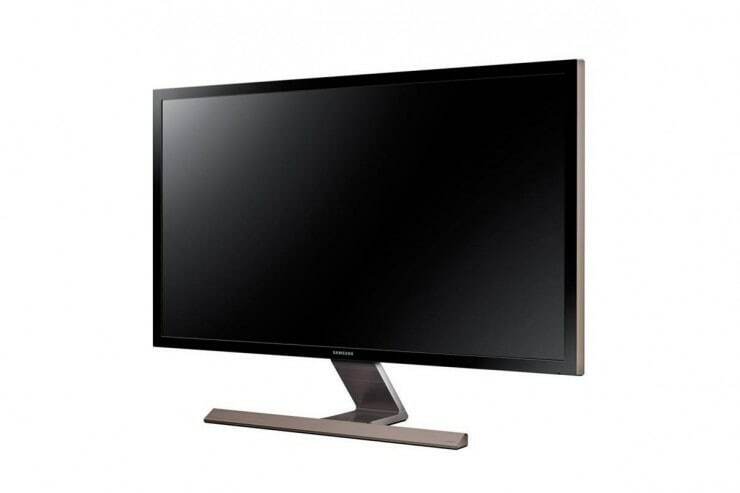 That is why we have brought to you the details review of one of the highly rated gaming monitor: Samsung UE590. Check the details below before investing on a new gaming monitor. It falls in affordable price range. Designed with AMD FreeSync compatibility. Offers exceptional and incredible gaming performance. Incredible response time that suits for most of the action games. It demands more options for position adjustments. The USB ports are missing. Although most of the gaming PCs come with wide range of accessories but in Samsung UE590 4K package, you will get something limited. Aside from this 4K UHD LCD FreeSync monitor, there are one HDMI cable, install CD, DisplayPort Cable and limited warranty for one year included. When we talk about 4K gaming monitors then Design and Style are always some of the interesting features. Samsung has added lots of creativity in design of UE590. You will find 1 inch thick bezel with eye catching quintessential silver on black scheme for color. Its body has round edges with black brushed plastic material. One of the most unique features is its stand that allows easy adjustments for positioning of this 4K color monitor. It can offer great viewing response with 170 degree by 160 degree ability. The sad part is that gamers can adjust its view only up to their chest level and hence they need to sit in a stressful posture by keeping their neck downwards while enjoying games for hours. This monitor comes with Display Port and HDMI 2.0 port. The great thing to know about HDMI 2.0 is its ability to serve impressive results at 60Hz frequency range while working over 60 frame refresh rate. Further, it can also provide better tuning to third party media devices and graphics. The FreeSync technology in this monitor makes use of DisplayPort 1.2 connectivity that ensures great rendering response for games with higher synchronization. The performance goes much better with HDMI2.0 port as it managed 1ms response time that is big advantage against most of 4ms to 9ms rated monitors. But the sad part is missing USB port in this monitor. The display settings for this 4K gaming monitors are quite interesting. They assist in easy navigation on settings menu that use to be difficult otherwise with the four linear buttons that most of monitors have. The settings menu of UE590 is quite simple having few basic features. Gamers will find it much easier to access settings like Pic – in- Pic display as well as Magic Angle setting. Note that this recently introduced Magic Angle technology help to alter screen lighting as per the position of display monitor. This feature helps to provide better accuracy for color response of the system. The color response of Samsung UE590 is incredible superior as it supports 10-bit colour range with 97% sRGB coverage, 77% of AdobeRGB spectrum coverage. This monitor can handle 1.07 billion colours on screen while ensuring incredible saturation on whole screen. You will be impressed to observe its Delta E color accuracy results that have a very small error from realism with a range of less than 1.5 only. 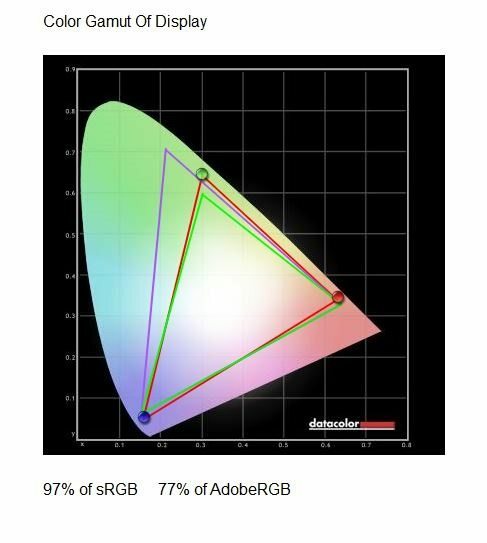 This excellent color accuracy leads to great results for most of the 4K games and users can definitely enjoy better brightness as well as contrast settings. Manufacturers have designed thus monitor with 1000:1 contrast ratio where customers can also apply calibrations settings as per their needs. The brightness level of this gaming monitor is set to 370cd/m2 that is satisfactory even for high end gamers. This 4K monitor is designed to serve with 1ms response time and possesses AMD FreeSync ability. It can handle all high speed 4K games with ease as FreeSync technology avoids the issue related to input lag. Samsung UE590 is designed with TN screen that is proven to be much better as compared to IPS technology for gaming needs but it loses the fight against color saturation and off angle viewing needs. You will be glad to know that Samsung has added Pic-in-Pic facility and Pic-by-Pic options to UE590 that assists users in classic recording with better customization facilities. It is advised to make some efforts to optimize the settings for graphics in this monitor as it can deliver you better response over little cons of this monitor. You will be happy to use its excellent PC connectivity ability and lag free transfer of details from graphic cards to monitor screen. Also the WLED technology offers flicker free response so that unwanted onscreen light changes can be adjusted. Games appear much better with its Low Blue Light settings that ensure softer adjustments for backlighting. If you want to record your gaming when you playing, you can try Filmora scrn Screen Recorder Software, which allows you to record your gaming videos and edit your videos easily. It can record your gaming screen and the webcam at the same time, what’s more, it can record up to 120FPS. Download the Filmora scrn and record your gaming videos right now. We must say that this 4k monitor offers great features even at reasonable price range. The FreeSync technology can maintain better response for all your latest 4K games but prefer to use AMD graphic card for better performance. You will definitely appreciate its response time that suits to all advanced 4K games. Although, there are few position adjustment issues but its gaming performance ensures great service over few cons. This monitor is available at almost half price range as compared to most of competitors having similar kind of features so it is definitely a great idea to invest on this device.